The officials made the remarks at the recent VMware Public Sector Innovation Summit in Washington, D.C.
Francisco Salguero, deputy chief information officer at the Department of Agriculture, opined that a hybrid cloud can help close the gap in modernizing the government's IT infrastructure. He said agencies currently face challenges in adopting the cloud as legacy applications were not built for such platform. To address the problem, the Federal Risk and Authorization Management Program is among the offices promoting hybrid cloud adoption for network compatibility and faster migration. 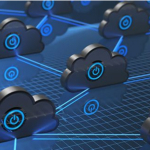 FedRAMP Director Ashley Mahan said her office plans to increase the number of cloud products with FedRAMP authorization in 2019, with up to 65 tools including hybrid cloud products being authorized for federal use. Maria Roat, CIO at the Small Business Administration, said her agency already started efforts to utilize the hybrid cloud to modernize its IT infrastructure.